Cheryl Rieck Klippel has been living the coastal lifestyle since 1989. Originally from Michigan, she desperately wanted to live somewhere warm. Cheryl had been vacationing with her parents on the island for many years and Hilton Head Island was the obvious choice after graduating college. Klippel jumped into the world of retail in 2001, opening a gift shop known as The Pelican’s Pouch. Without any fashion or business experience before starting The Pelican's Pouch , Cheryl credits much of her hard-earned success to her inability to accept failure as an option. 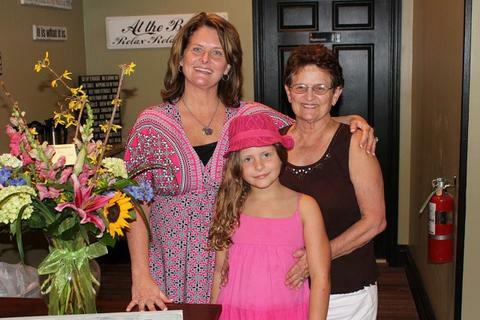 In 2003, she opened her second store, Island Girl, inspired by her daughter Emily. Unlike the gift and home décor found in Pelican’s Pouch, Island Girl carries trendy women and children, baby, shoes, accessories and gifts. Being the entrepreneur woman, Klippel never rests. So in March of 2012, she opened Watusi Café on Pope Avenue. Watusi offers healthier choice options to include many Gluten-Free and organic provisions. The name is as unique as the menu itself. The name, which translates to "What You See," which is friendly staff serving a memorable meal. Her sister, Kerri Rieck, is a managing partner at the restaurant. The two sisters constantly had patrons asking for a dinner menu. In June 2017, the customers got what they were looking for.... An evening menu along with hand-crafted cocktails. © 2019 The Pelican's Pouch. All Rights Reserved.